What Is A Weighted Blanket | Weighted blankets are throw-sized blankets filled with weighted materials, such as plastic pellets. The feeling of weighted physical pressure can result in a calming effect †. As the name suggests, this type of blanket is filled with discs, poly pellets, glass, or polypropylene plastic beads. You will find that some weighted blankets are made from softer material like breathable cotton to resemble that of a traditional duvet. The use of weighted blankets on babies and small children are not recommended. Experts suggest using the safe sleeping guidelines set forth by the American Academy of Pediatrics. 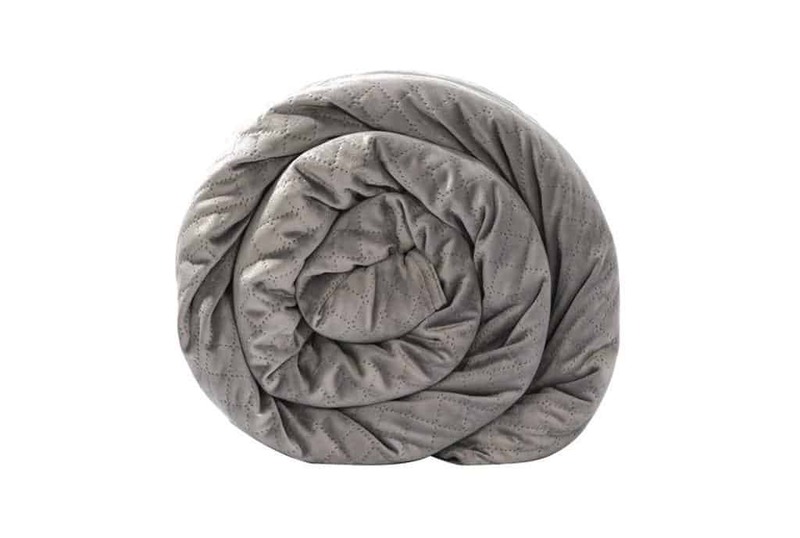 The weighted blanket that hugs you back to help relieve stress and get better rest. Cozy up with this single-person blanket or buy two and spread them out over your mattress for shared comfort while you sleep. Aside from asking, “What is a weighted blanket?” the next question is how do they work? A weighted blanket, which is commonly referred to as gravity blanket, is often used by occupational therapists for patients during sensory integration therapy. It’s typically used in helping alleviate the symptoms of autism, sensory processing disorder, anxiety, as well as depression. Anxiety and stress can prevent us from getting a good night’s sleep. Some of us take sleep medicine, but others prefer a natural alternative. For those, a weighted blanket may provide a solution. If you are wondering what benefits to get from this blanket, here are a few that are worth mentioning. Stress affects all of us. The simplest stressors can have a negative effect on our mental health, as well as emotional and physical state. The use of a weighted blanket, with its deep touch pressure, may help provide relief. Restless leg syndrome patients often complain about a tingling or creeping sensation in their legs that worsens when they are in bed. This can lead to sleep disorders such as insomnia. The constant urge to move one’s legs can also be a problem when traveling by plane or car. Patients with restless leg tend to use compression socks to help alleviate the problem, but it seems that weighted blankets can do the job as well because of its comforting feeling of weight on the legs. Sensory issues are thought to be caused by signals in the brain getting “stuck in traffic” that can lead to anxiety attacks. Children with autism have a lot in common with those who suffer from anxiety disorders. In the end, both can experience emotional and behavioral turmoil. Placing a weighted blanket on these children can have a calming effect. The same goes true for those anxious individuals who use an adult weighted blanket to help them feel a much-needed hug. Often patients who have ADHD (attention deficit hyperactivity syndrome) often exhibit various symptoms such as lack of focus, restlessness, and being impulsive too. 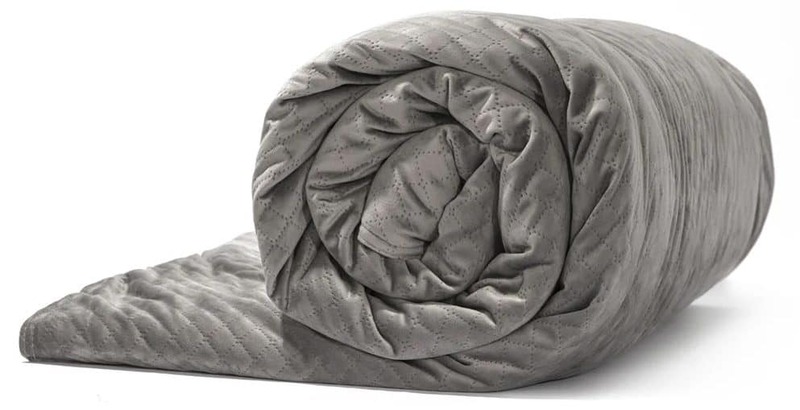 The use of weighted blankets and deep pressure stimulation has been found to create this calming and soothing effect that minimizes anxiety, possibly due to the release of serotonin and melatonin. And because this therapy helps improve one’s mood and it may be a good option to consider for those who have ADHD. At some point, we all toss and turn in our bed. If sleeping has become a challenge lately, using a weighted blanket may help. The deep touch pressure that weighted blanket gives can help boost your serotonin and melatonin levels. When serotonin increases, it can be easier to relax into a more restful sleep. Weighted blankets can also be useful to the elderly. As people age, their sleep-wake cycle changes. Stress, anxiety, chronic pain can further upset sleeping causing episodes of insomnia Weighted blankets may help them sleep better at night. Babies tend to respond better when they are hugged, swaddled, cuddled, and e rocked. If you think that getting a hug is for children only, you may be surprised that the feeling will not go away even as you age. The weighted blanket, with all of its beads, creates a comfortable cocoon that emulates the sensation of getting a warm hug from someone making this almost a magic blanket.